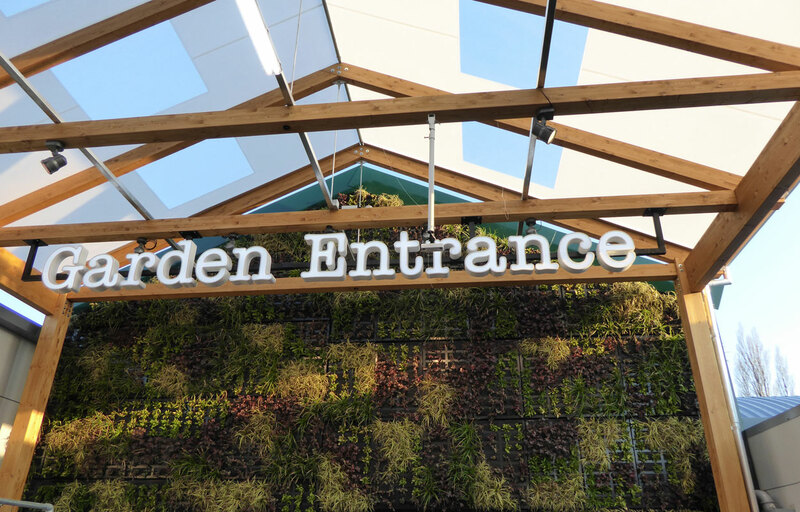 Walkway canopies are a fantastic solution for providing a seamless, weather protected connection between external environments situated adjacent to buildings or across courtyards and open spaces. Covered outdoor walkway solutions can be used across all sectors, such as hospitals, schools, colleges, universities, leisure facilities and garden centres. The applications are endless. Whether you need to cover a walkway from one building to another or perhaps a covered queuing area, our structures will ensure your staff , pupils or visitors can remain dry. Depending on the environment and aesthetic preference, your covered walkways can be designed using timber or steel. All our walkway canopies are designed to suit your exact requirements and can be customised with open sides, partially or fully enclosed. All our covered walkways structures come with an industry leading 25-year guarantee. 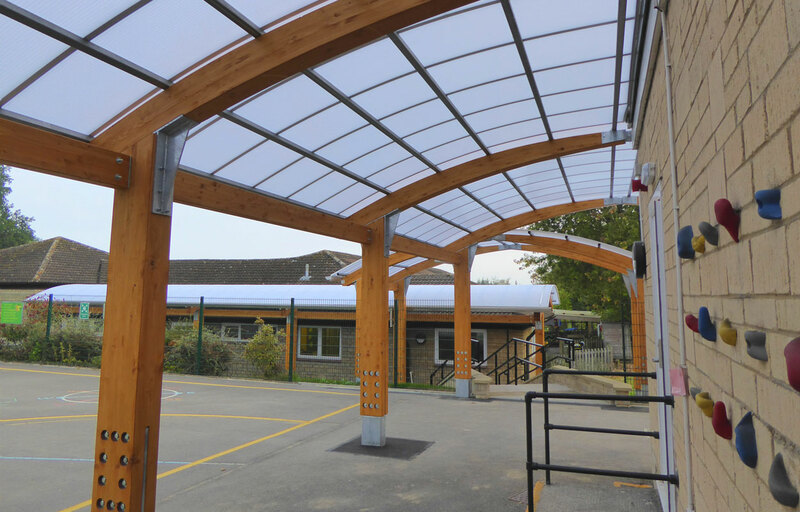 To create beautiful long lasting timber walkway canopies, Fordingbridge use glued laminated timber, known as glulam, to give design flexibility with the additional advantage of superior strength. 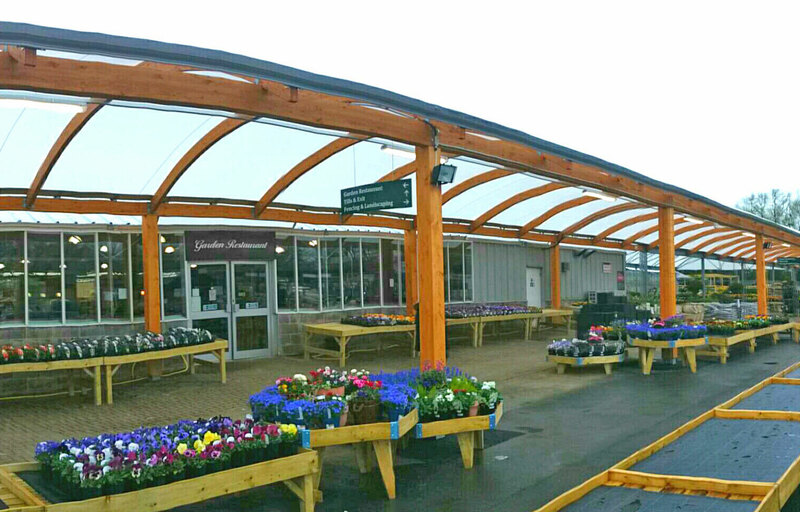 Glulam comes in a range of coloured stains, allowing your timber covered walkway to match your aesthetic requirements. Manufactured from layers of parallel timber, glulam is a highly durable engineered wood product. Fordingbridge also create steel walkways canopies. Our steel walkway covers are available in maintenance-free galvanized finish or with a polyester powder coated finish in any RAL colour to match your branding. To give quality assurance, Fordingbridge, manufactures all metal work at its own CE approved workshop at the head office in Arundel, West Sussex.